Archaeologists have discovered an intact, ancient Egyptian tomb in the Valley of the Kings, the first since King Tutankhamun’s was found in 1922. 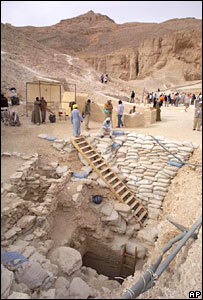 The tomb was found only 5m away from King Tutankhamun’s. This is really good and wonderful discovery. I hope lots of secretes information will be come out of it. We will learn more about ancient Egyptian culture and civilization. Read complete news at BBC. 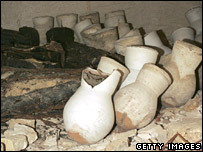 Images are courtesy to BBC news. Update: MSN has published more photo and detail information on this story.